If you're looking for something to do beyond NY borders, visit these attractions in New Jersey! Take a short road trip across the border and see what this neighboring state has to offer. New Jersey attractions come in all types so you're sure to find something that tickles your fancy. One of New Jersey's Top Attractions for Kids and Families! Come out to Brick NJ for a unique and fun pirate adventure in NJ! Kids and parents alike will love the pirate cruise! Come out to find the treasure and sail with Jersey Shore Pirates for an interactive treasure hunt where your child becomes part of the action! 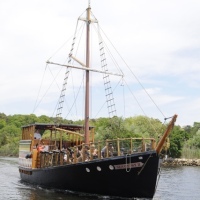 The Sea Gypsy and its experienced crew sets sail daily on the Metedeconk River for a Swashbuckling Pirate Adventure. This true Pirate Adventure begins with face painting and dress-up as we transform your mini mates into our mighty Pirate Crew. One of the most unique attractions in all of NJ! Once onboard you’ll fire our famous water cannons, battle the enemy pirate, taste some Pirate’s grog, discover sunken treasure and much more! 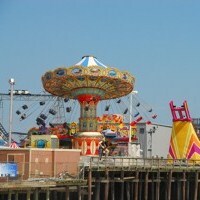 Jersey Shore Pirates is conveniently located just minutes from Point Pleasant Beach and Boardwalk. This adventure is a “must do” for locals and visitors alike. Face painting and dress up will begin 30 minutes prior to sailing times. Don't miss the chance to transform your little ones into swashbuckling pirates! "Life is short, drink better wine." 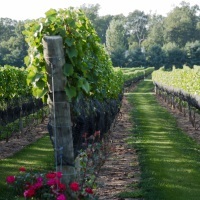 Beneduce Vineyards, located in Hunterdon County, New Jersey, is a family owned vineyard and winery dedicated to growing and producing high quality wines and serving them in a relaxed and down-to-earth atmosphere. Their Cornell trained winemaker, Mike Beneduce, focuses on crafting small batches of aromatic varietals made in a dry style, with an emphasis towards balance and food-friendliness. Signature white wines from their 16 acre Estate vineyard include Chardonnay, Riesling and Gewürztraminer, and plantings of red grapes include Pinot Noir, Cabernet Franc and a spicy, Austrian red named Blaufränkisch. A beautifully renovated 7,000 sq. ft. barn offers a unique venue to sample and enjoy their wines among authentic winemaking equipment and over 200 barrels of aging wine. The farm is also available for weddings and private events of all types. The winery hosts live musicians every Saturday night and Sunday afternoon year round, and conducts guided vineyard tours on an antique tractor-pulled wagon during the growing season. Located in the rolling hills of Hunterdon County, Beneduce Vineyards makes an excellent choice for a weekend escape to the country. Please visit BeneduceVineyards.com for tasting room hours and more information. Science for All Ages at NJ Attractions! This fun science center is a great place to go with the whole family. With tons of interactive exhibits and displays that teach science concepts in an easy-to-understand fashion, people of all ages can enjoy learning. Kids especially love the Touch Tunnel, a pitch black crawl-through maze which can only be navigated by carefully feeling which way the tunnel turns. The IMAX & 3D theater is another big hit with visitors - learn about different parts of the world or the life cycles of animals in a surround sound, surround screen experience! A special area geared specifically toward children ages 2-5 means even the youngest members of your family can have fun! Admission to the exhibitions is $15.75 for adults and $11.50 for children. Great NJ Attraction for Kids! 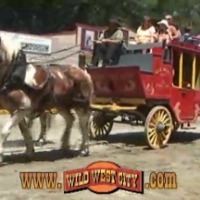 This fun attraction is set up as an American town from the wild west period. The main street, set up like a western town from the 1880s, is always exciting - lined with old fashioned shops of all sorts it's also often the site of gun duels, robberies and showdowns. Kids can pan for gold, feed animals in the barnyard zoo, take a ride on a pony or a train and play miniature golf. Take a ride on the stagecoach, but don't be surprised if you are attacked by bandits on the way! Kids and adults alike will enjoy visiting the shops and interacting with the knowledgeable staff who can tell you all about 19th century blacksmithing, dressmaking, farming and more. Shows take place regularly and kids will be delighted at the demonstrations of lassoing, horseback riding tricks and dramatic skits. Delaware River Tubing Inc is at the forefront of providing family fun for all residents of New Jersey. 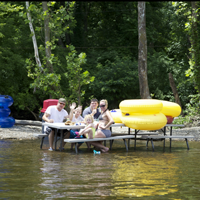 Since 1987, Delaware Tubing holds canoeing, rafting, and tubing events for all interested parties at specific times of the year. On any of these days, you can take out your kids or friends for a day out in the sun and enjoy the cool waters of New Jersey. For those who love kayaking or relaxing on a tube the whole day, Delaware River Tubing Inc provides you a chance to do exactly that. This is one of the best New Jersey attractions that allows residents a chance to bond with their family. The Sterling Hill Mining Museum provides you with a chance to reconnect with nature and geology. Everything you need to know about mining and the underground, you can learn it here. Need to learn how mineral deposits are made? Need to know more about mining? 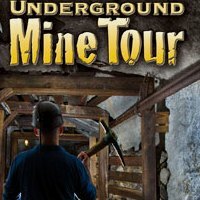 The Sterling Hill Mining Museum is a place you can take your family for an underground mine tour and bond with your kids. If your kid is very interested in geology, this would be a perfect knowledge parlor. Take the trip to the underground mine and learn more about the iron ores in New Jersey. Spend a day at this fantastic NJ attraction. You won't regret it! Planning to visit New Jersey for the summer? Or did you suddenly find yourself in New Jersey? Did your family recently relocate to New Jersey? Well, whatever your reason for being in New Jersey, you should definitely enjoy your stay by visiting some of the most memorable New Jersey Attractions. 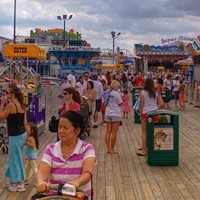 At the top of the NJ Attractions list, you can find the Jenkinsons Boardwalk. Without scarcity of experiences that will make your visit exceptional, this is one of the few places in New Jersey that will take your breath away. With activities for people of all ages, from rides to games to food and more, you definitely don't want to miss out on this place. There is so much to do at an amusement park. You could choose to ride the merry go rounds with your children, let your children play the arcade games or slide down the water slides with your children. Well, being one of the most prestigious New Jersey attractions, Casino Pier and Breakwater Beach Waterpark is a combination of all these events and much more. Thanks to this attraction, many parents and families have shared bonding experiences with their children and created amazing memories that will never be forgotten. Technology may have transformed every sphere of our lives with the latest introduction of iPads, iPods, iPhones and PCs. However, most of us still want to experience life as it was in the medieval times. Well, what better place to enjoy this than in the Horse Sleigh Farm, one of the remarkable New Jersey Attractions? 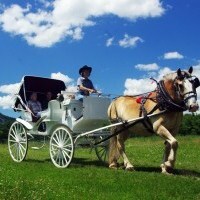 If you're looking for something to surprise your wife with for the upcoming anniversary or a romantic gesture that will be forever remembered, visit the horse sleigh farm and enjoy the horse drawn carriages and much more. Escape from technology for a few days and remember what is really important, your family. Everybody enjoys jumping up and down on trampolines. Imagine having a place where everything rebounds, the walls, the floors and also has plenty of trampolines. This is the ideal place to relax with your children and jump away your stress. 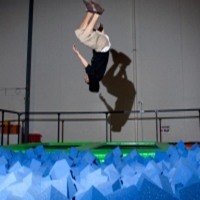 At the top of the list of New Jersey Attractions is Rebounderz of Edison, a place where you can hold birthday parties or any other corporate event if there is any jumping needed. Strategically located, Rebounderz of Edison is one place you should visit at the end of a tired day or during any weekend with your kids. There are so many sea animals unknown to many people. For the underwater enthusiasts, Adventure Aquarium is the best place to visit and learn more about sea life. 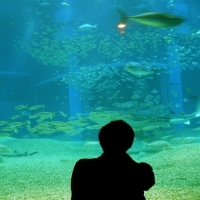 Adventure Aquarium is one of the best New Jersey attractions because it displays different sea animals. This is also home to Mighty Mike one of the most popular alligators in all of America. There is simply too much to learn and see at the adventure aquarium. 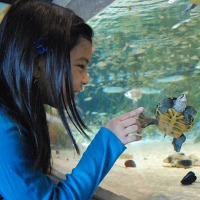 You can choose to visit the aquarium with your family or make a date out of it. Thanks to Six Flags Great Adventure, one of the New Jersey attractions, vacations in New Jersey have become exceptional and extraordinary. Choose one of your weekends and plan a visit to Six Flags Great Adventure. There is something for everyone to enjoy. You can enjoy the amusement parks with your children or choose to plan a picnic with your girlfriend or boyfriend. With everything from Merry go rounds, sky screamers, arcade games and more this is definitely a good way to spend your weekend. 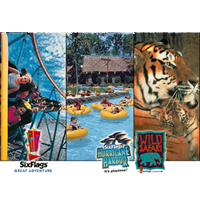 With three park options, Great Adventure, Hurricane Harbor, and The Safari Off Road Adventure, you will be able to spend a full day enjoying the attractions at this park. 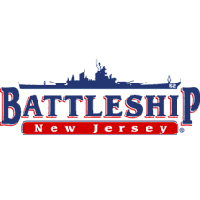 For the history enthusiasts, Battleship New Jersey provides a platform to learn about the best of the battleships used in different renowned American wars. Take your children to visit the most famous US battleships and get to learn more about the wars in that era. Find out what techniques, maneuvers and tricks were used to win the war. The Battleship New Jersey hosts most field trips for children and even older history enthusiasts who want to be at par with the war history of America. There is so much to learn from Battleship New Jersey, which is the reason why it's one of the most renowned New Jersey Attractions. There is so much to see in a museum. For instance, there is ancient art, ancient sculptures, fossils, tools, recent art and much more. 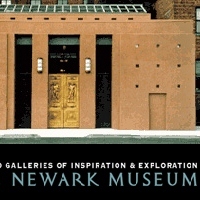 Newark Museum, one of the most memorable New Jersey Attractions that provides its audience with galleries of all there is to see with thousands of visitors each year. Newark Museum is actually one of the most memorable museums in all of New Jersey because it provides the audience with a bridge between the past, the present and the future. With so much to see, this is the ideal place for class field trips or family visits.